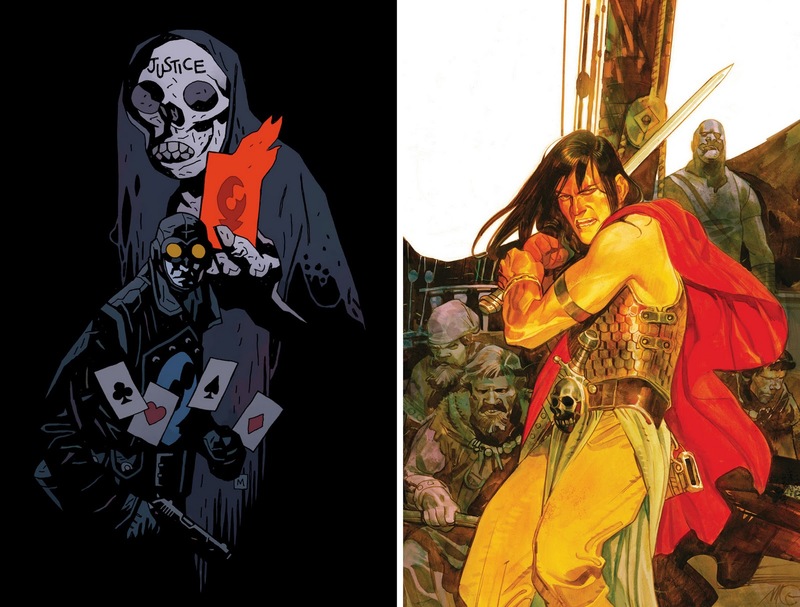 Dark Horse is the next to sent it's February offerings your way this month. With the launch of Brian Wood's Conan The Barbarian series and the mini Star Wars: Dawn of the Jedi, it's a pretty sweet looking line too. Of all the hits and classics on show, these three take the award for 'best cover - February 2012'. 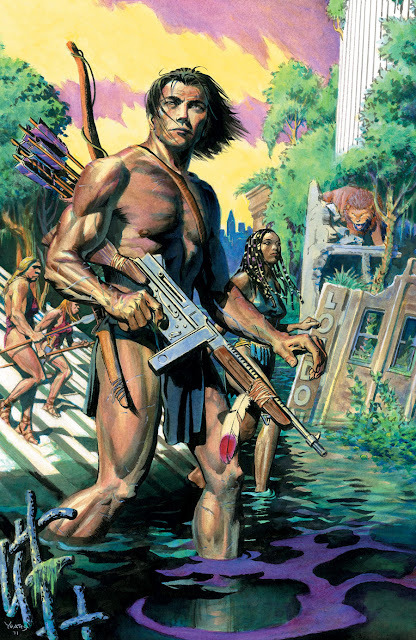 COVER OF THE MONTH: THOMAS YEATES - DARK HORSE PRESENTS #9 I'm guessing that's Turok - Dinosaur Hunter on the cover there, but whoever he is, classic pulp images like these are always a hit with me. This is the kind of stuff that got me into the medium, and it's definitely part of what keeps me round. CLOSE CONTENDERS: Mike Mignola - Dark Horse Presents #9 (Variant) and Massimo Carnevale - Conan The Barbarian #1. For the full Dark Horse February run down, give a little click.